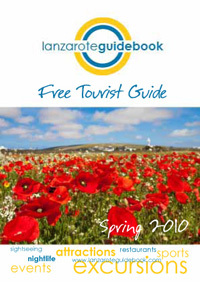 The Spring edition of Lanzarote Guidebook, the in-depth island information guide, is out now, and to mark the occasion readers can enter a competition to win a villa holiday on Lanzarote, worth over £650, courtesy of the island holiday specialists www.lanzarote1.com. 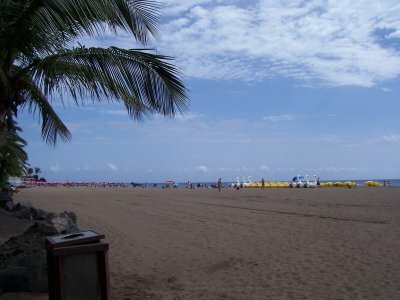 Lanzarote Guidebook is the comprehensive guide to the popular holiday island of Lanzarote. The small Canary Island that is a hot favourite with British and Irish tourists who last year collectively accounted for over 50% of the islands 1.37 million foreign tourist arrivals. The Spring 2010 edition is packed with all of the information tourists need to make the most of their holiday on the Island of Fire, encompassing in depth guides to all of Lanzarote’s resorts, beaches, museums and attractions, island maps, an introduction to the work of the famous local artist César Manrique and a handy Essentials section covering all of the holiday basics, such as shop and bank opening hours and emergency telephone numbers. Copies of the Spring edition of Lanzarote Guidebook can be downloaded free of charge by visiting www.lanzaroteguidebook.com. Whilst a further 10,000 copies are distributed direct to holidaymakers on the island entirely free of charge via car hire companies, private villas, hotels and official tourist information offices. This indispensable, 96 page guide is published quarterly so all of the information is up to date and is researched and written by locals, so providing tourists with the inside track to the real Lanzarote. Featuring some fantastic pictures of the islands dramatic scenery courtesy of photographer James Mitchell. The Spring edition also offers readers the chance to win a fantastic holiday at Villa Mirador in Matagorda – a prize provided by the island villa specialists Lanzarote1, who offer a range of top quality rental properties in key locations across the island, such as the most popular resort of Puerto del Carmen. The competition can also be entered online by visiting the Lanzarote Guidebook website where visitors will find a wealth of information about the island, interactive maps, the latest weather reports and a wide array of flight, car hire and accommodation options. Please visit the Lanzarote Guidebook website for the competition terms and conditions. This week the Monday Podcast discussed how to book holidays – in particular online. Maria has just booked flights to Japan and Graham has just come back from holiday in Lanzarote.